For a couple of weeks I kept walking past a soon to be opened new restaurant in Mount Eden village. Painted black with a pink sign, I was intrigued and vouched that as soon as it opened I would book a table. From the same owners as Mount Eden stalwarts The Garden Shed and Circus Circus, I knew we would be in good hands. 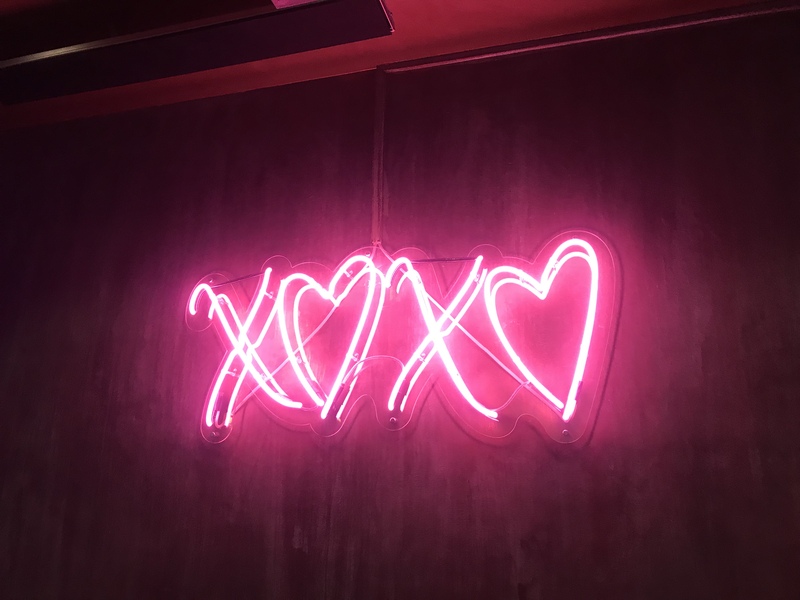 We were greeted by a pink neon sign glowing on the wall and saw lots of impressive looking cocktails being delivered to the surrounding tables. Despite making a reservation the staff struggled to find us a table and as such we ended up sitting on the pavement table on Mount Eden Road. Not ideal on a very rainy evening and I would say the service is one area they need to brush up on. However, I realise this was only three days after opening so is probably teething problems and hopefully soon the service will match up to the food and surroundings. 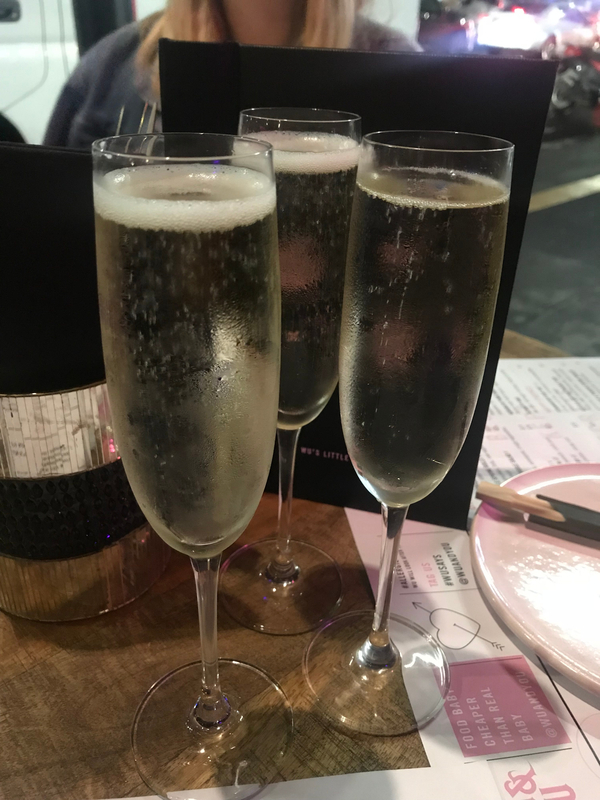 We ordered a round of prosecco to toast the end of the working week and had a good look at the menu. The place settings were very cute. 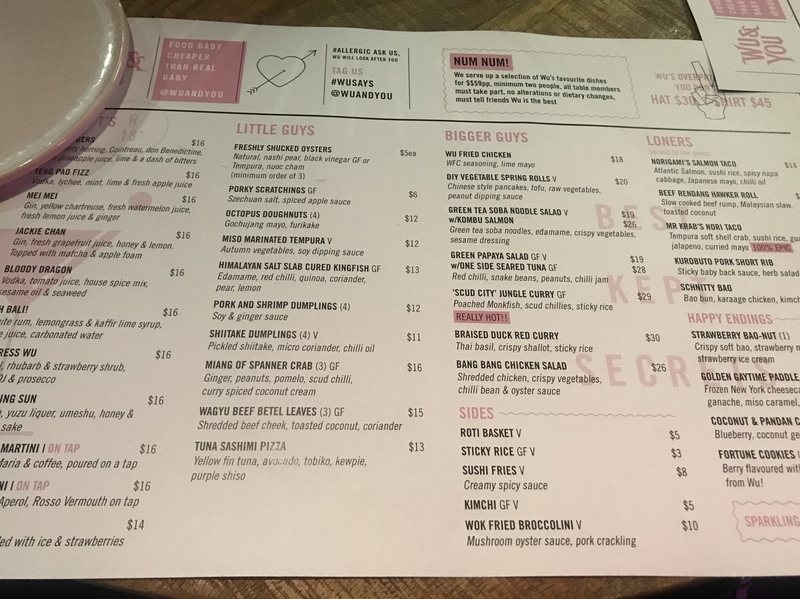 The menu is designed for sharing and is split into Little Guys, Bigger Guys, Loners, Sides and Happy Endings. Pun fully intended! 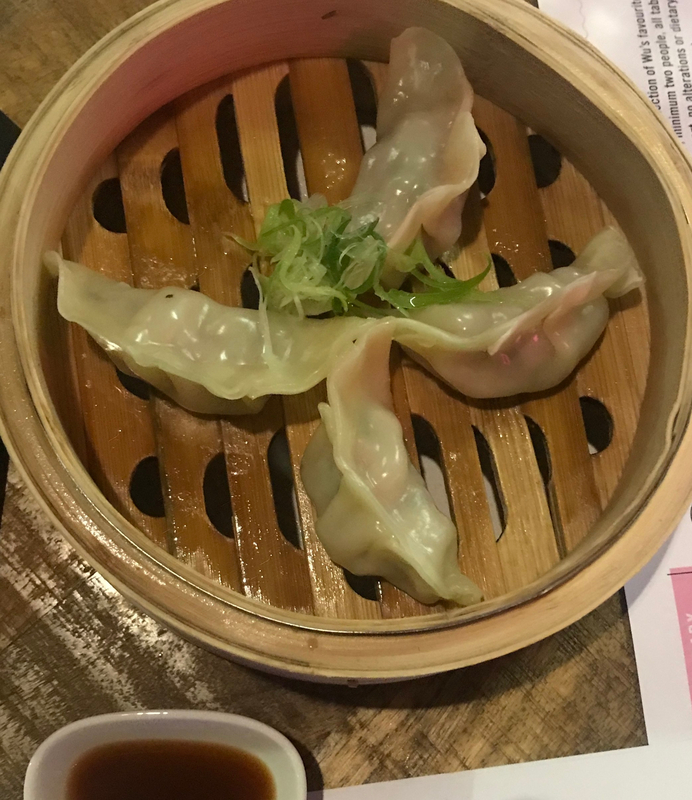 We began with the Pork and Shrimp Dumplings which were served with a spicy XO sauce. The casing was delicate and the filling generous. 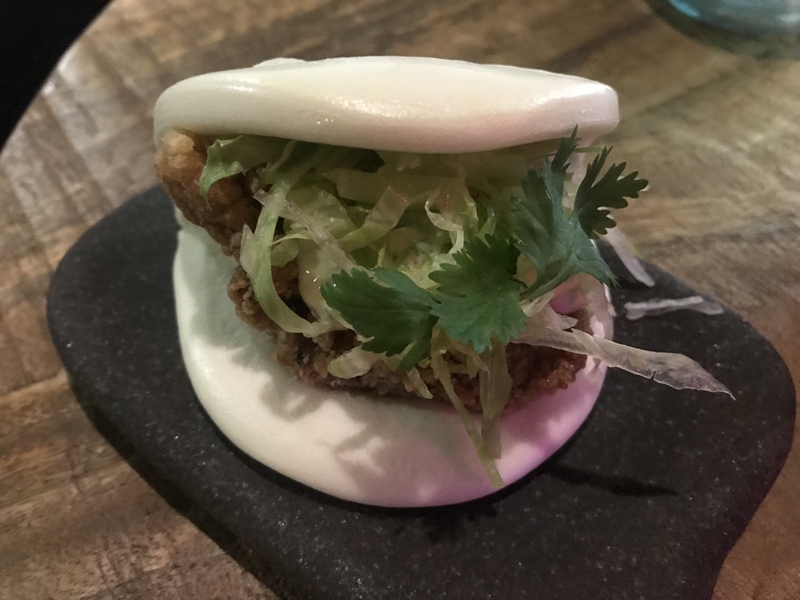 We couldn’t resist ordering a Schnitty Bao each – this consisted of a bao bun, ramen coated chicken schnitzel and kimchi tartare. I could have ordered another one of these buns straight away – it was delicious. Pillowy soft bun with crispy hot chicken. What’s not to love? 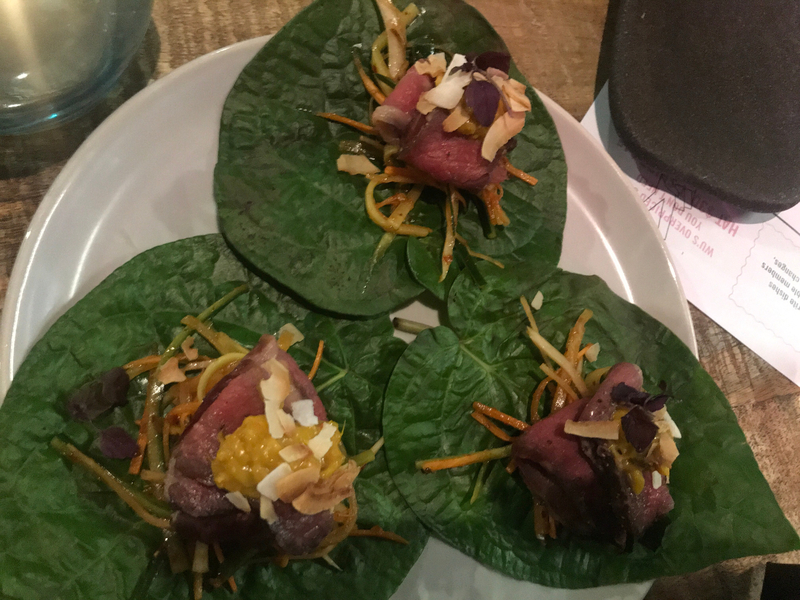 The Wagyu Beef Betel Leaves came topped with peanut satay, coriander, coconut and lime. 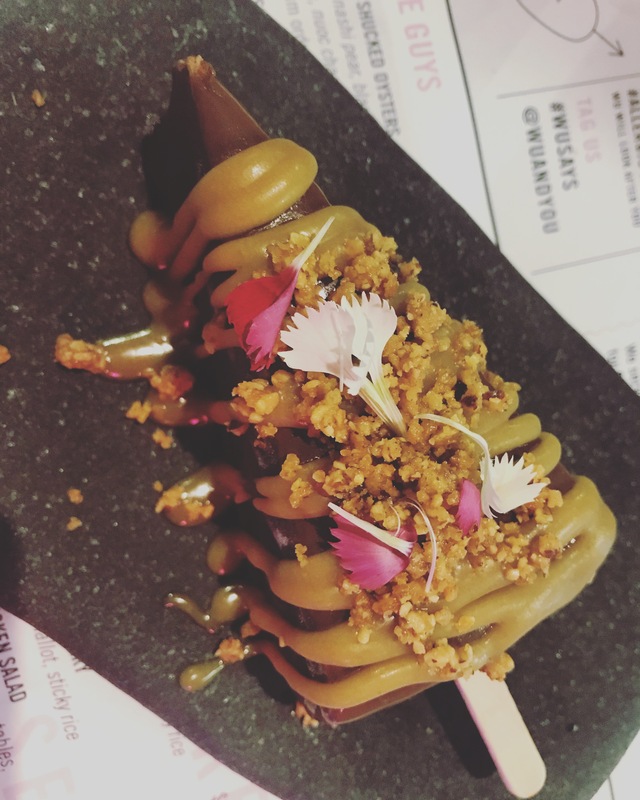 The beef was a little chewy, I think the beef had been sliced slightly too thickly but it was still very tasty and paired perfectly with the crunchiness of the peanut satay. The Bang Bang Chicken Salad would be my top recommendation. 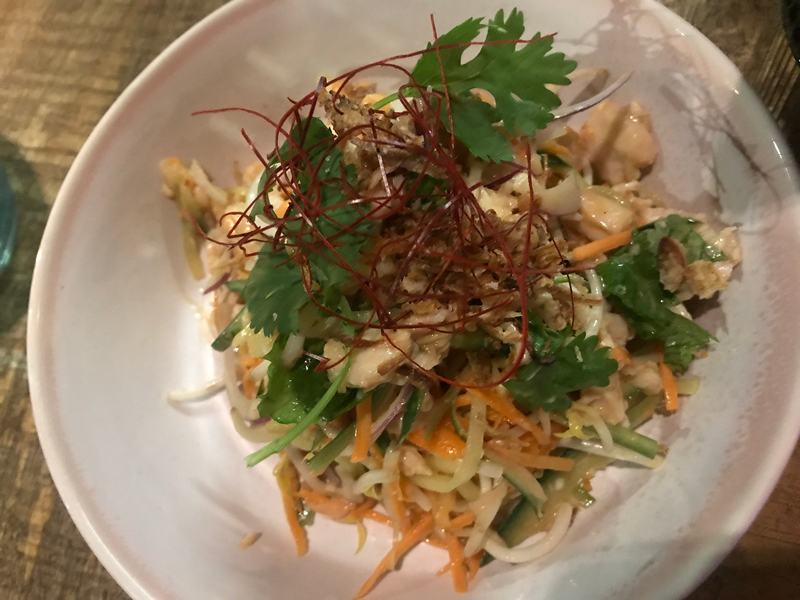 Shredded chicken breast, szechuan peppercorns, sesame and ginger all mixed together to provide a contrast of different textures and flavours. We were intrigued by the Sushi Fries so had to order them. Sushi rice is deep fried and coated in ramen seasoning and served with a creamy, spicy sauce. 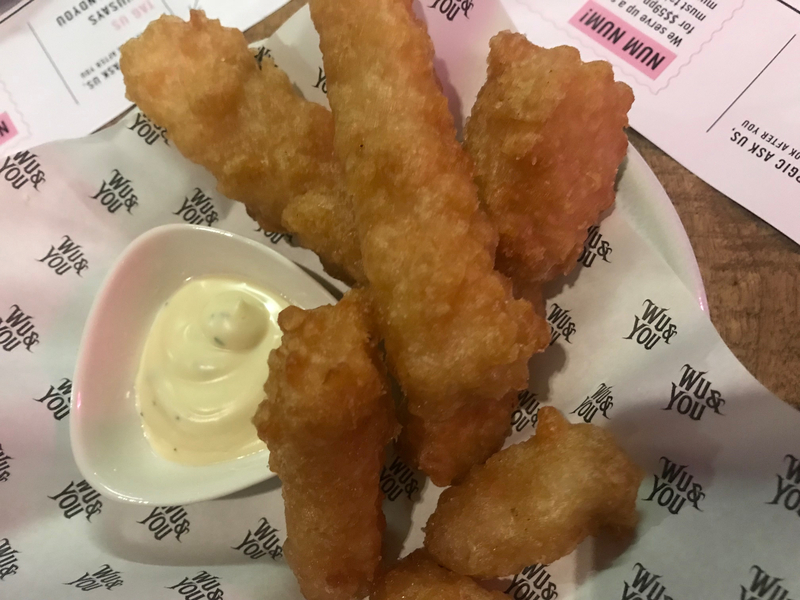 Very moreish! The piece de resistance was the Golden Gaytime Paddle Pop – a frozen New York cheesecake, chocolate ganache, miso caramel and cookie crumbs. The dessert of all desserts? It could be! 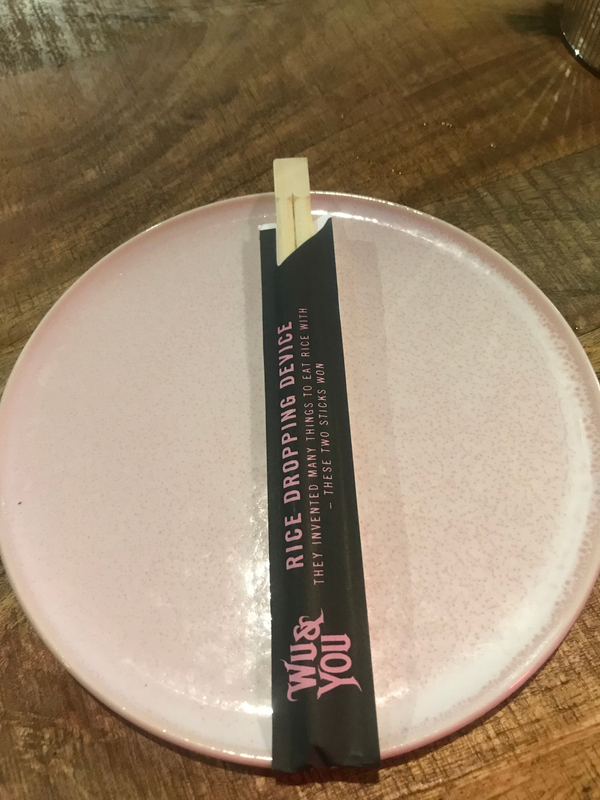 Overall I really enjoyed Wu and You – once the service matches the food and drinks this will definitely be a contender for one of the top Asian eateries in Auckland.